Wordle: That’s what I’m talkin’ about! What a cool little app I encountered today, thanks to somebody’s microblog post that I bumped into on some aggregator or another! 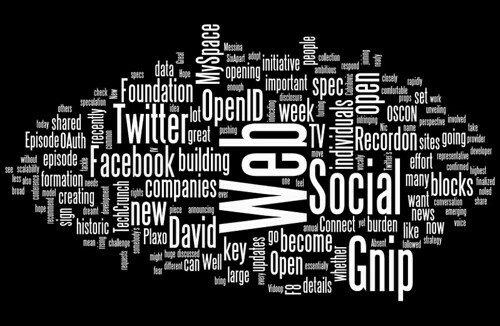 It’s Wordle, and it takes the concept of “tag cloud” and applies it to any block of text or any website. 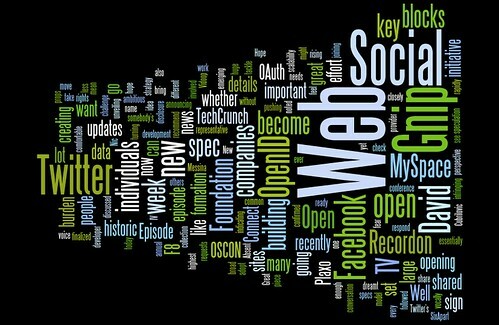 But the real beauty is in the design of how the “word cloud” is rendered. Here are three different designs that got generated automatically from the last 1,000 words on this blog (and in one case, with a bit of tweaking by me through Wordle’s slick UI). Great stuff. Let me know in the comments if you like one of these more than another. 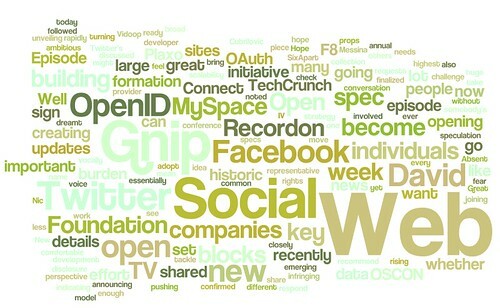 Or feel free to post a link to a version you do by plugging in the URL of this blog into Wordle. I find this rather unusual, and inappropriate, considering that the author of the image is the person who provides the text and, using the tool, creates an original work.